This fruit peeling machine is designed for removing the peel of various kinds of ball-shaped fruits with a dia ofφ40-100mm and a height of H40-120mm. 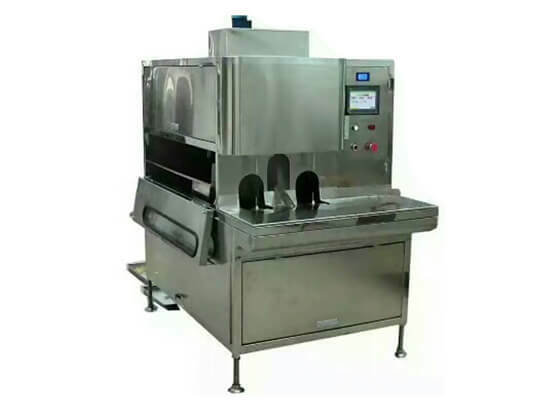 It is a key equipment of industrial fruits-processing, and this peeler machine has been widely used in fruit processing industries, central kitchens and distribution centers of the chain supermarkets. ---can be used to peel fruits as well as vegetables, including apples, pears, kiwi fruits, lemons, persimmons, tomatoes, etc. ---can complete peeling, end cutting, coring, sectioning, separating, and color maintaining. 2.Computer-controlled: this machine is manufactured based on EU standards, available for process control and remote control, so various fruits and vegetables with different dia. and height can be processed by it; at the same time, the peeling thickness is adjustable. 3. Simple operation: when the operation, click the touchscreen and set the working parameters, and then the peeling machine can finish product processing automatically. 4. 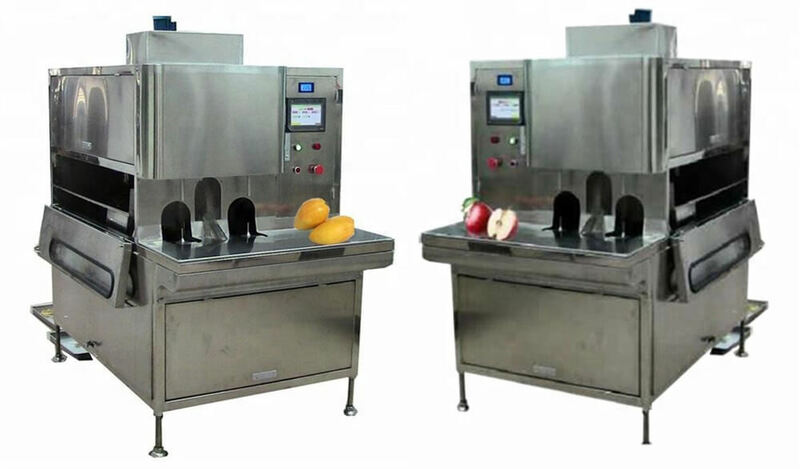 Better peeling results: compared to manual peeling and lye peeling, the peeling completed by this machine retains the nutrition of fruits and vegetables, and increases their use value; reduces cost and pollution. 5. There are respective spaces for placing and peeling fruits & vegetables to keep the operators safe and avoid products to be polluted. 6. Blades with three different sizes for coring and sectioning are available for varisized fruits and varisized fruit cutting. 7. Automatic cleaning guarantees a total cleaning after work. 8. The machine spots of lubrication, friction and water drip are separated from the working chambers, preventing products to be spoiled. 9. Made of stainless steel, ensuring a long service life; high efficiency ensures saving cost. The peeling thickness, working parameters, and the process should be set up before the operation. The operator places fruits on the fruit stand; the infrared positioning light leads the fruits to a right position; the circular conveying chain delivers fruits to the fixation fork; the automatic height recognition device impact and rotate the fruit; then the peeler device starts working according to the move of the fruit. Fruits enter the end cutting station after peeling to cut their end peels, with the assistance of the automatic height recognition device. Every working station has a discharging hole, so the pure sarcocarp, strip peels, and round peels can be discharged respectively.